CHICAGO (WLS) -- CVS issued an apology on Sunday to a black woman after the white Edgewater store manager called police accusing her of trying to use a fake coupon. The incident happened Friday night at a CVS in the 6100-block of North Broadway on Chicago's North Side. Hudson wanted managers to call the corporate office for help on the issue, and that's when police were called. Matson is running for alderman of Chicago's 48th Ward. The manager claimed on a campaign website that he was a Trump delegate, but the Illinois Republican Party said he wasn't a delegate to the Republican National Convention. CVS said they are investigating the incident. 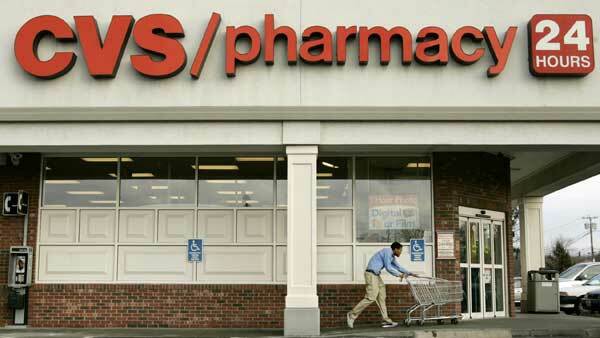 In a statement, CVS said: "We sincerely apologize to Ms. Hudson for her experience in one of our stores. Our Region Director in Chicago contacted her as soon as we were made aware of this incident. CVS is actively investigating what happened and we will take any corrective action that is warranted based on the outcome of our investigation. The employees who were involved in the incident will not be working in the store pending the findings of our investigation. CVS Pharmacy does not tolerate any practices that discriminate against any customer and we are committed to maintaining a welcoming and diverse environment in our stores. We have firm non-discrimination policies in place to help ensure that all customers are treated with respect and dignity. Profiling or any other type of discriminatory behavior is strictly prohibited."